Besides functional basic fabrics our collection also offers innovative varieties with extra narrow or wide stripes, stylish jacquard patterns and exclusive fabrics with elegant details. The elegant double roller blind fabrics in this collection were inspired by nature. 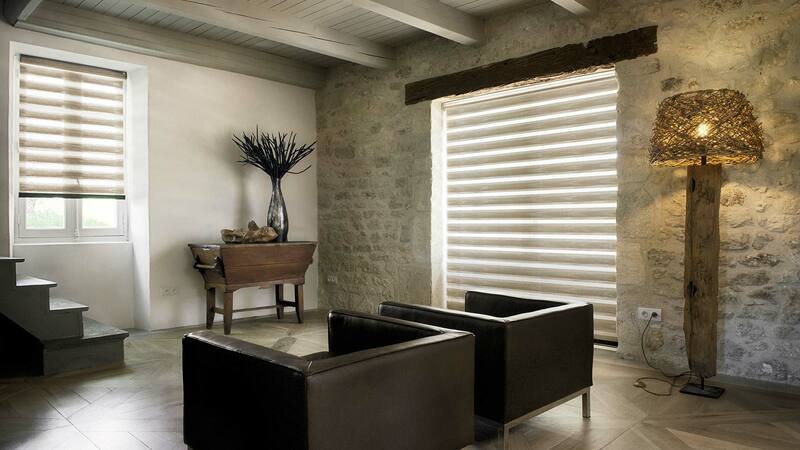 Natural materials, structures and color blends give the blind a pure and timeless look. Eyecatcher in the collection is a variety with a subtle cascading effect. 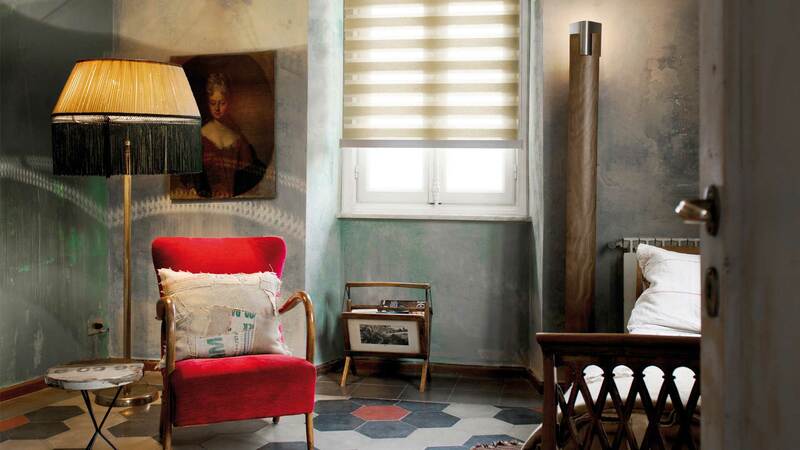 This exclusive double roller blind collection embodies pure luxury for the window. The collection includes jacquards with delicate micro patterns, elegant satin shine and metallic varieties and fabrics with exceptional embroideries for a three-dimensional effect. The double layer of fabric with transparent and non-transparent stripes is perfect for adjusting light and privacy. In addition to the various system types, our product range also includes a broad and innovative collection of double roller fabrics with over 300 varieties. 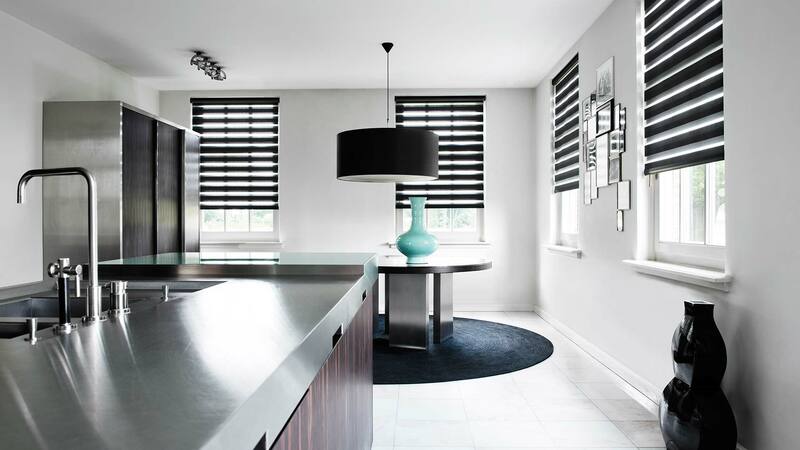 For double roller blinds we offer two system types of our own development. The Absolute system is easy to assemble, quick to install and user friendly. The Ultimate system has a high-quality design look and feel. 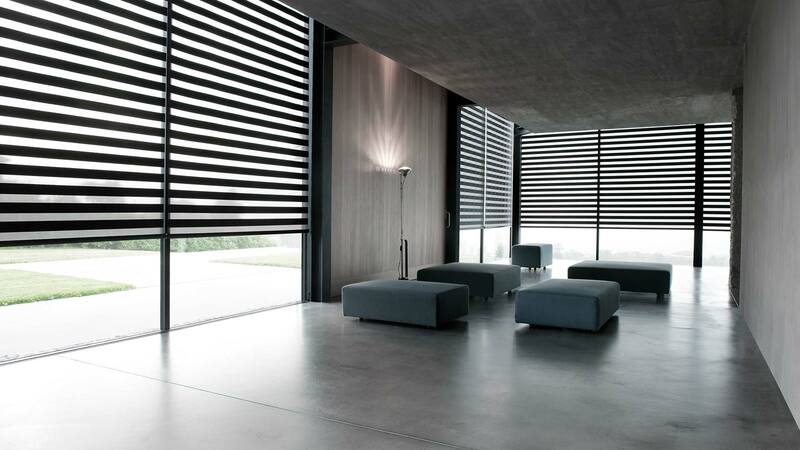 Absolute 2.0, the second generation of our unique roller blind system will be available soon. The Absolute roller blind system with a mounting profile forms the basis for this user-friendly double roller blind system. It is easy to assemble and install. The modular structure allows for an easy upgrade to a full-option system with automated operation with a minimal number of parts. Download the technical catalog of this system here or click here for an impression. This design double roller blind system is an option of the Absolute system. The Ultimate head rail and end caps feature a modern design and are available in three exclusive finishes: natural aluminum, chrome and matt brushed stainless steel. They effortlessly add a luxury look and feel to the double roller blind. Download the Ultimate brochure here. New in our collection for double roller blinds are innovative, stylish fabrics, including exclusive jacquards and fabrics with subtle decorative details. 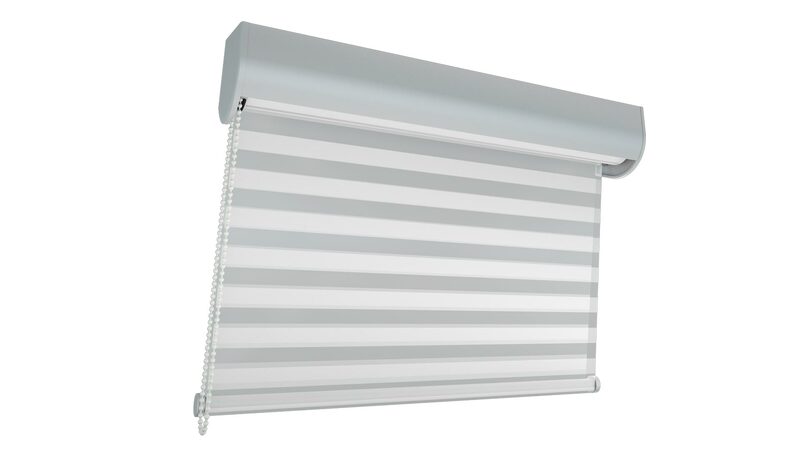 Furthermore, we recently introduced the second generation of our Absolute Double Roller blind system. With the amazing new fabrics in our collection, a double roller blind becomes a real eye catcher in the interior. Apart from natural woven paper fabrics, the collection includes classy jacquards with delicate graphic patterns and subtle details. Also a colorful range of fabrics with an exclusive satin shine as well as a black-out variety are part of the collection. View a mood impression of this new collection here. 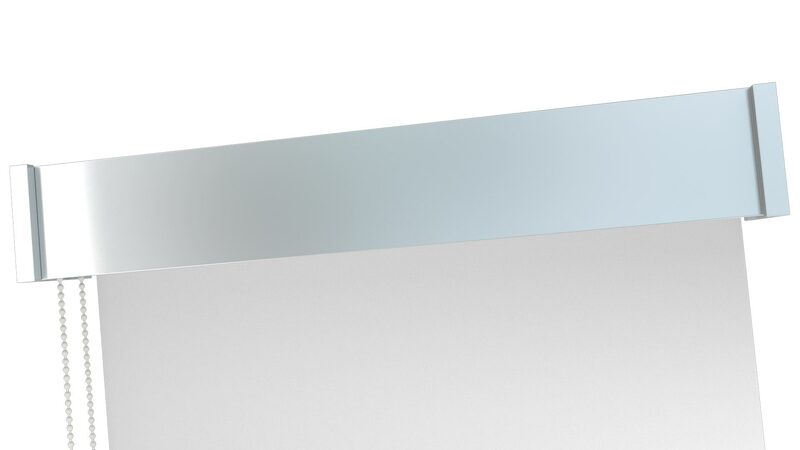 The second generation of our Absolute double roller blind system will be introduced soon. The system is even more efficient, easier to assemble, use and install than its predecessor and offers the Ultimate design option.The Absolute roller blind system with a mounting profile forms the basis for this user-friendly double roller blind system. This basis can easily be upgraded to a full-option system, including a semi-open cassette, a closed cassette with side profiles or an automated system, with only a few parts. The system is available in a variety of sizes: mini, small, medium and large. Click here for an impression.